Royal Lanta Resort & Spa is very royal! 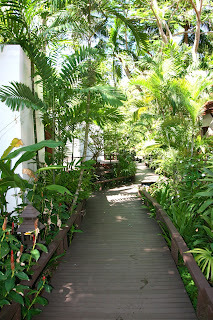 Stepping onto the resort we knew we had reached paradise. Our kids bolted straight for the pool and beach area and proclaimed we were never leaving! 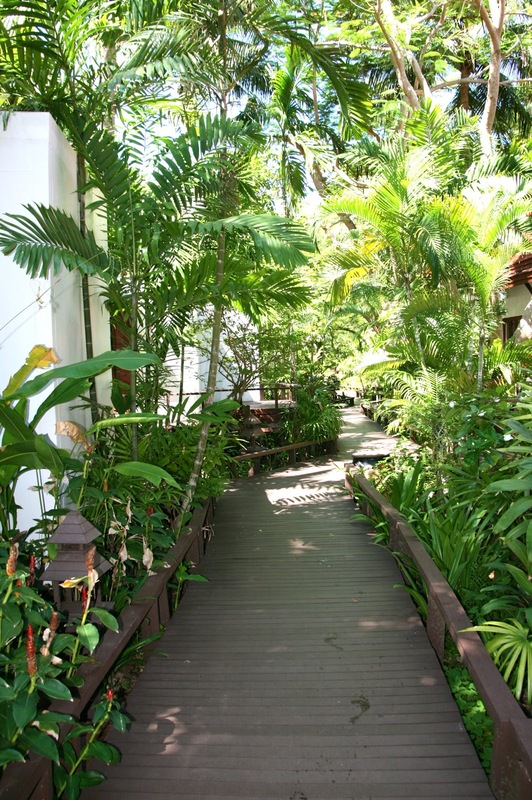 The resort is set among lush tropical gardens with an elevated walkway separating each bungalow. Royal Lanta is located on the west coast of Koh Lanta, Thailand on Klong Dao Beach. Klong Dao Beach has warm water, calm waves and is very shallow. The beach area tends to get a lot of trash from other islands but it is still a beautiful beach with amazing sunsets. Low tide was always best for us since our kids like to dig in the sand and we got to explore for crabs, shells and sea life. We stayed in a bungalow closer to the front desk and loved it. Our room was big with a king bed, bunk beds for the kids and a separate sleeping area with crib for the baby. The beds were comfortable with fresh, crisp linens. The housekeeping ladies were so incredibly nice. Air con worked great and it was nice having a ceiling fan too. The room had a fridge and limited television. The bathroom was modern and water pressure worked great! Noise was never a problem as the resort seems very quiet, but we only stayed in the off season. Breakfast was usually served on the veranda next to the ocean except on rainy days where it was moved inside the cafe. Food is served buffet style with lots of western selections. Our kids loved the pancakes, bacon and fresh fruit. The ladies that worked the breakfast never seemed that friendly. We made it into a game to try and get them to smile. Never worked, but we had fun trying. We ended up staying here for about two weeks we loved it so much. Our rate was around $40 a night which included breakfast (this is our kids main meal). There are plenty of restaurant near by and a 7-11 on the corner. It's easy walking distance to the main part of town too. We would definitely stay here again. Bonus: This resort has a generator so when everyone else in town lost power we still had air con and wifi and tv. Great for when it was stormy. TIP: Mosquitos are a problem everywhere in southern Thailand so bring your bug spray. TIP: Get a room closer to the front desk or cafe for best wifi. I've been told there is no wifi in the center rooms, but I can't confirm this. Anyone else stay here or have a resort they loved in Koh Lanta? This looks like my kind of spot! I love a shallow beach, as my kids are adventurous and I am a huge worrier...LOL!